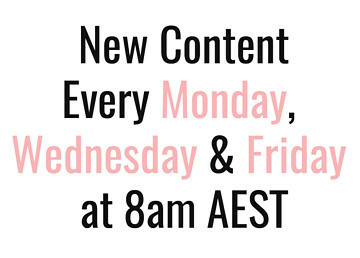 As someone who watches a lot of fashion bloggers and falls in love with designer items I can't afford, I am always on the lookout for affordable fashion that embodies a lot of the same design elements. 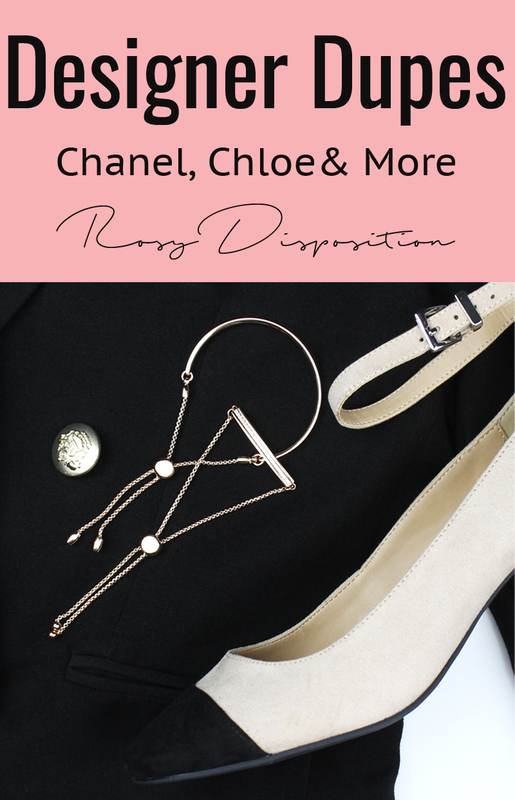 Quite regularly I come across things that are so close to the high end items they are clearly inspired by that they could definitely be classified as dupes and satisfy my lusting for pretty things without breaking the bank. It is important to note that I'm not talking about counterfeit designer goods that have all the branding, but rather pieces that are clearly inspired by designer items. I think of it as a distinction between dupe and fake, but I will admit that I own some fakes too that I love. The gorgeous chain slide toggle and classic rose gold is so completely Monica Vinader that when I saw these on the Forever New website, I immediately knew they were dupes. I actually rushed out the very same day to buy them because there was no way I was missing out! For the past year I have lusted after Monica Vinader bracelets and had even considered saving up because they are so beautiful. At the end of the day though, I can't really justify well over $300 dollars for what is still costume jewellery so these Forever New dupes are a gorgeous alternative. To be fair, I don't think they will last an exceptionally long time because the plating is already a bit worn in a tiny spot on one where the toggle was sitting but you can't fault the price and they really look lovely! Of course, these aren't entirely the same but it is the beige colour and contrast black toe cap is what makes the classic Chanel look. I have been seeing the Chanel ones all over Instagram and YouTube so when I saw these heels for just 20 bucks I couldn't resist. They are faux suede with an ankle strap that you can actually remove. I think I like them more without the ankle strap but of course they do come up quite high at the heel. I can't wait to wear them with jeans and a white blouse to class things up. This was one of the first designer clothing items I fell in love with outside of the usual bags and shoes. I actually have had the Forever New Libby blazer for a while and have been wearing it a ton this winter. I found two options and even though I don't own the Witchery one, I have tried it on and nearly purchased it so many times. 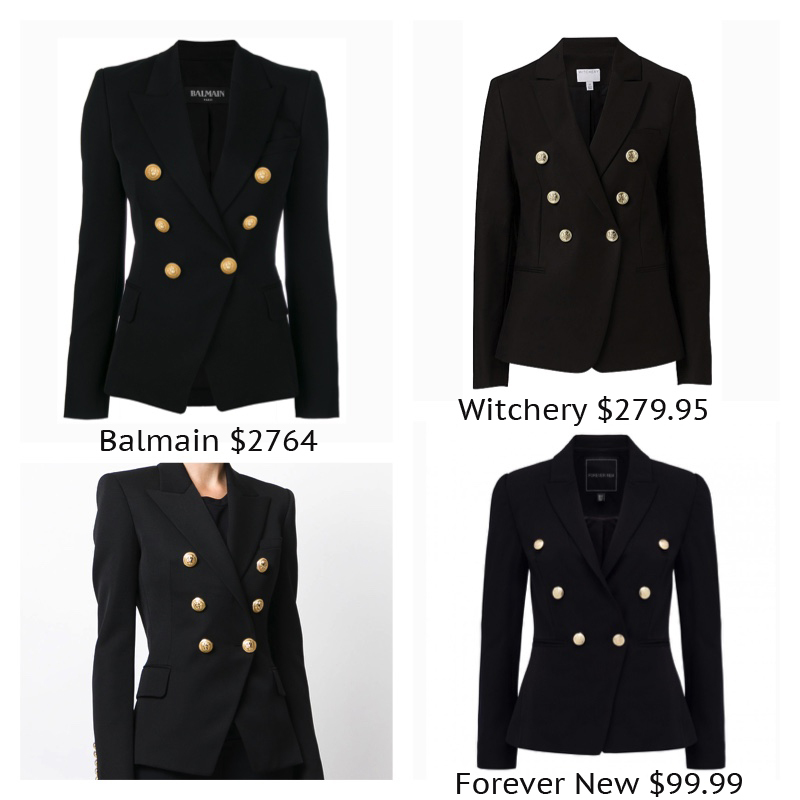 Honestly, the Witchery blazer has a much nicer fit and is made from a much higher quality fabric so it sits beautifully and feels very expensive. At the end of the day though, the Forever New one is less than half the price and still looks gorgeous. I just noticed that Witchery has AfterPay though so I still might buy the more expensive dupe because it is lovely! Luckily for me though, it is only in stock in a size 6 at the moment but I hope they will restock. Also, Forever New actually brought out a blush pink Libby blazer a while ago that I saw after it had already sold out but I am holding out hope that they are going to bring it back for spring so keep an eye out with me if that is more your style. Betts actually has a lot of over the knee boots at the moment so if you are on the hunt, I recommend starting there. I really love the taupe colour and saw them so many times on Lydia Elise Millen so when I saw the dupe, I leapt on them. Annoyingly, the taupe colour isn't online but I was in Betts just yesterday and they still had heaps on sale for around $40-$50. I was actually really pleasantly surprised by how nice they were for the money and they were actually pretty comfortable because the heel isn't too high. This is a very close dupe. The finish is a little different but there is no mistaking that silhouette or gold buckle. I haven't purchased this one but I will be checking it out next time I am near a Strandbags to see if it is big enough to be practical and fit my phone because it is really cute. This one is pretty close and, of course, the Kmart quality isn't even going to come close, but it is a great way to get that classic Chloé look for less. I wish they had the beige kind of colour but the grey is quite pretty. I actually haven't purchased this one yet but I'm going to check it out next time I'm in Kmart and probably pick it up because, at 9 bucks, why not! 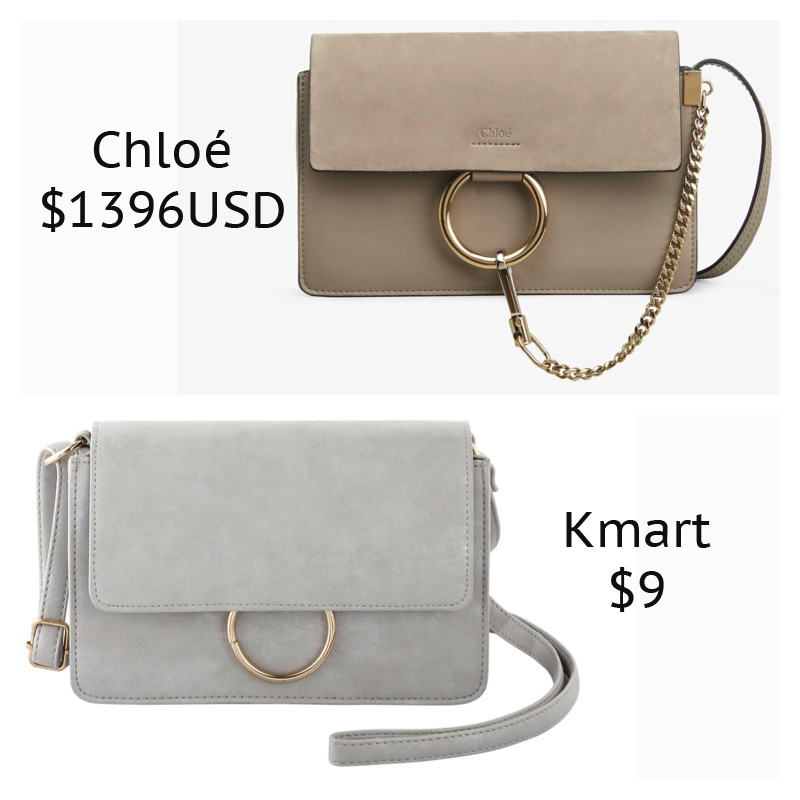 I'm obsessed with Chloé and wish I could have the gorgeous Faye and Nile bags but alas, I don't have a spare 5+ grand! 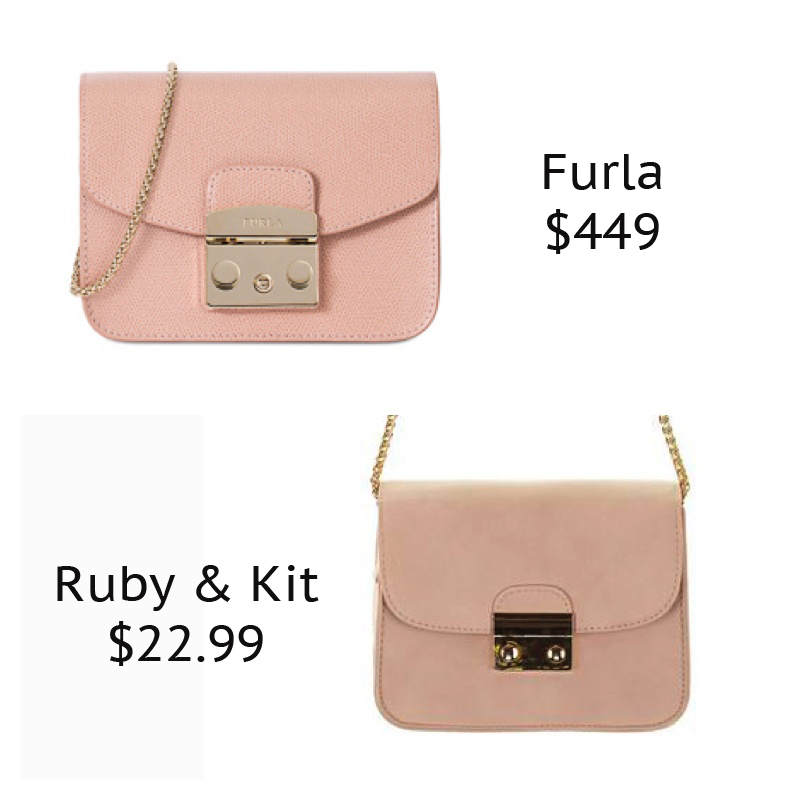 So there you have the top 5 designer dupes I have found recently. I know this is a bit different because I have never blogged about fashion but I really want to do it more! Would you like to see more designer dupes like these ones? I am pretty savvy on AliExpress too so it isn't just Australian stores you can hunt down designer dupes on. 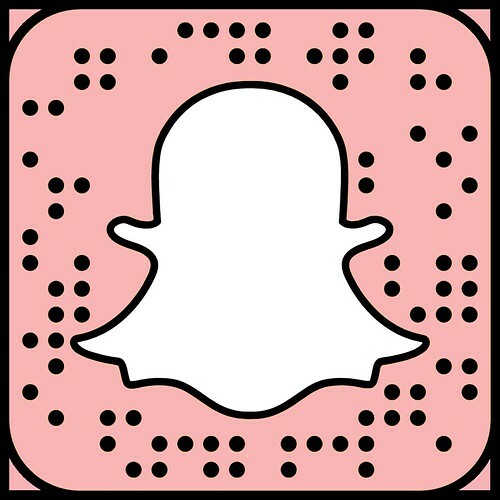 Let me know what dupes you want me to try and hunt down for you. Disclaimer: I paid for all of the items I featured that I actually own myself. 28 comments on "Designer Dupes: Monica Vinader, Chanel, Balmain, Stuart Weitzman, Furla and Chloé"
WOW Emma! What an awesome post! Please tell me there will be more?! 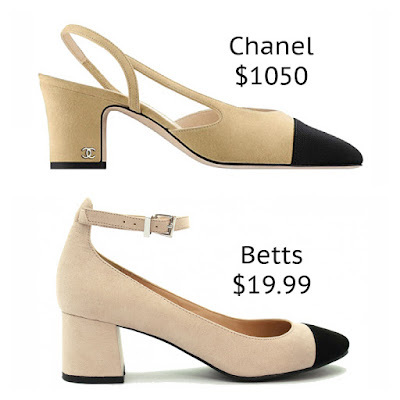 I actually love the Betts shoes better than the Chanel and I already have them in my cart ready to buy haha. Yaaas! I think I'm going to wear mine today for a little tiny shoot with a friend for Friday'a post. Also, I'll more than likely be doing more because this one was really fun! I love this! I always look at designer products and want them so bad, but of course can't afford them! Kmart is fantastic for affordable hand bags though, I have a gorgeous back pack that looks high end, that's just from Kmart! I will have to scour through Kmart a bit more carefully next time to see if I can spot some more dupes. Yeah especially trendy pieces that are only in style for a season. Awesome fashion on a budget is always good ;p Thanks for reading. So many good finds! I literally just bought those Betts boots! These are amazing find. I am in love with those Betts shoes! ALmost as good as the real thing. This is an awesome post, some great dupes here. The Balmain blazer dupe looks so good. Those bracelets are gorgeous!! I haven't heard of the original designer, but both the expensive and cheaper versions would pass in my books!! Great post! I don't really care for designer labels too much but that said, getting a designer look for less is a major bonus! Those blazers look fantastic. Such a good post! 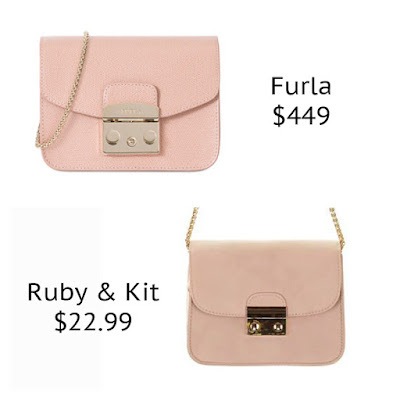 I especially love the dupe bags! !